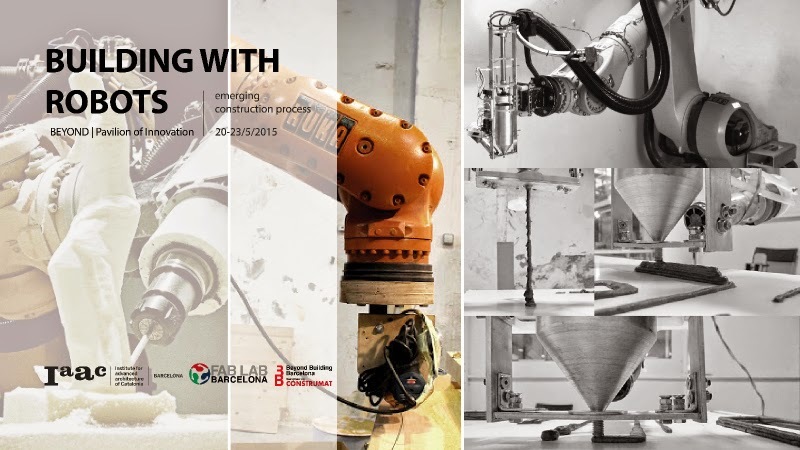 Shape the future of the building industry with the Pavilion of Innovation 2015 in Beyond Building Barcelona, curated by IaaC | Fab Lab Barcelona. This exhibition and symposium will present new ideas and construction paradigms emerging from international excellence in research and pilot projects. Novel and reactive materials, advanced digital/robotic manufacturing techniques and responsive environments are the key topics presented. 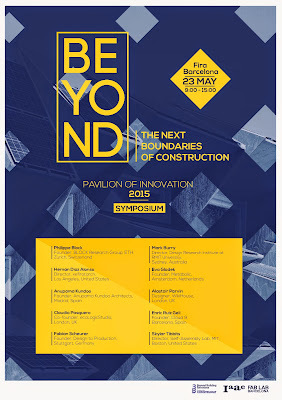 A limited number of pioneer academic research projects and prototypes from the BEYOND | CALL FOR PROJECTS, as well as professionally built projects and prototypes will be exhibited within the Pavilion of Innovation 2015. This includes Enrico Dini's D-Shape, Philippe Block's Rib-stiffened funicular floor system and Neri Oxman's Silk Pavilion. The aim is to offer a matchmaking space for research and innovative projects to meet construction and technology companies, construct the bridge connecting innovation with the industry and businesses, and present possibilities for projects to be implemented in real world developments. 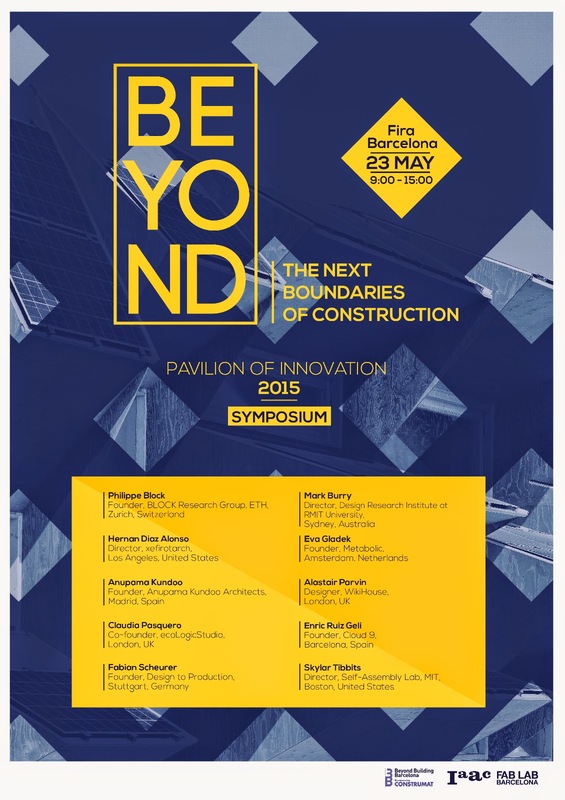 The Pavilion of Innovation 2015 will also host events such as a symposium and round table where pioneer architects and designers will discuss future technologies and innovation in construction. The Pavilion of Innovation 2015 will also host an educational workshop series on wearable technology, internet of things, digital fabrication, robotic construction technology and aerial robotics. This is open to all professionals and students. The symposium will take place on Saturday, May 23, where each speaker presents its innovative work and ideas in short sessions. Thematic 4D printing, digital fabrication, self-sufficient buildings and distributed manufacturing will be discussed during this event. Several international workshops will take place in the Pavilion of Innovation 2015 May 19-23. Varying from 1-day seminars to 5-day workshops, participants can learn about wearable technology and computational design, digital fabrication, internet of things, robotic printing with clay and data mapping using aerial robotics.